If you’re looking for break with the youngsters and don’t want to lose out on quality and experience, Spier Wine Farm should be one of your first stops. My four-year-old son is looking more serious than usual as he eyes the glass of red liquid in front of him. He raises it to his lips, takes a sip and swallows. He immediately smiles and exclaims: I love it! Mere moments before, I had done the same with a glass of red – although I assure you I was far more profound, testifying to the hints of oak in the blend, before loudly exclaiming my love of the Spier Pinotage – and it seems Gabe had quickly picked up on the decorum necessary at a tasting. Before you protest at me taking my son to a wine tasting, let me clear up two things, he was tasting grape juice, and his two-year-old sister was with him. It’s just one of the many options available to make your trip to Spier Wine Farm perfect for young families. The last time I attempted a wine tasting with my kids in tow, it was at a festival and I managed to taste three wines before packing it in, buying a few bottles for home and then heading to the playpark. It was a good day, just not for wine tasting. 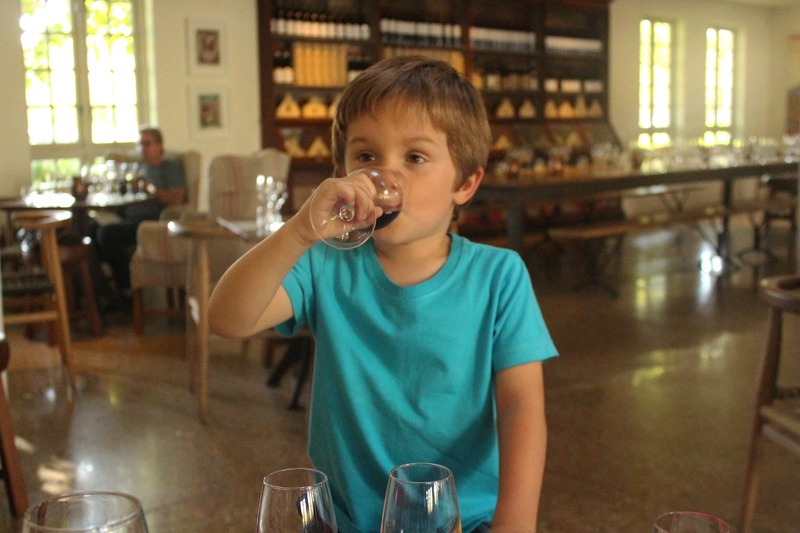 Spier offers a grape juice tasting for the kids – with a pairing of wine gums – to go along with their parents who get to sample the real fruit from the vine. It’s a fantastic idea and one that went down well on our recent stay-over at the wine farm. 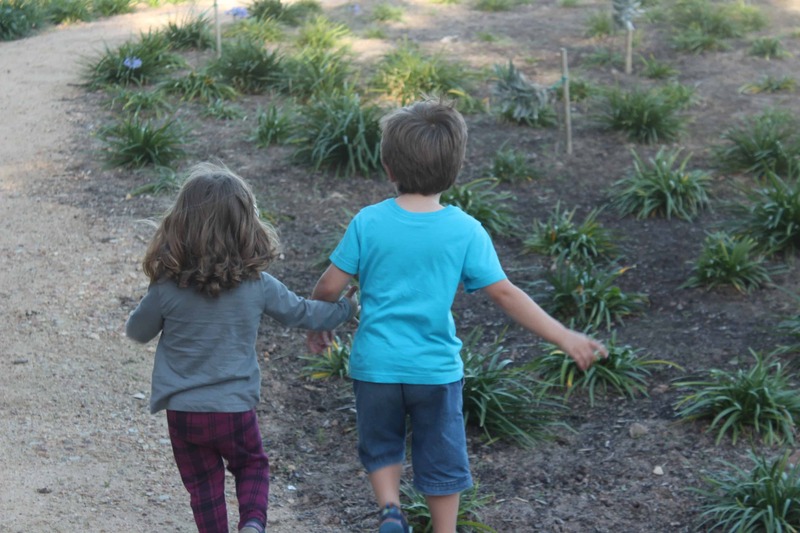 Getting my kids to sit still for anything is a chore, but both of them – even my youngest – enjoyed the experience, making it easier for my wife and I to do the same. It is one of the great draws of Spier – that family orientated vision – that allows you to make a weekend of it with kids. It’s more than just the wine tasting that the farm has geared to be inclusive. We started our day with a gourmet picnic for my wife and me, while the kids were treated to their own carry bags complete with all the necessary snacks – everything from a ham and cheese roll to a gingerbread man – to keep them fuelled for the day ahead. We chose a spot on the lawn above the Eight Deli and set anchor for the early afternoon. Spier is full of wide open spaces, which means you can let the youngsters run around freely without any real concern for their safety or worrying about them making too much racket. For anybody with young kids, you know that it’s a rare combination to be able to enjoy. The lawns above the deli are also dotted with some great rock formations, which doubled as a castle and a ship for my son, while my daughter made do with the smaller rocks and sand below. For the adults, it was a chance to put the feet up and stop running after them for once! The picnic was a great start to the day, but it was just the start. A quick interlude back at the room to change dirty clothes (the kids, not mine) and we were off to the wine tasting. Like I said, the kids loved it, and there was never a time we felt like we were intruding on the other adults in the centre. That was the key for me. The kids are not just tolerated, they are welcomed and it makes a massive difference knowing that upon arrival. Gourmet picnics and wine packed in, it was now time to walk it off. The wine farm is 600 hectares, which means there is a huge amount of land to explore, and we spent a good amount of time doing exactly that. It is a farm packed with beauty, combination of natural and man-made, and is also home to a large amount of art pieces, ranging from The Dying Slave (a huge hit with the kids), to the myriad of local artists’ paintings adorning the different buildings around the grounds. It makes for an interesting outing and The Dying Slave, in particular, allowed for some serious discussions with my son about the country’s past and what may lie ahead for the future. Our farm exploration capped off the day’s activities. And after running around the paths, climbing every rock and step we could find, it didn’t take long for my spawn to crash and burn in the evening. A couple of glasses of that Pinotage was the perfect end to the day’s proceedings. The following morning we were up at 5am. Thankfully, the restaurant opens at 6am for breakfast. We didn’t know that at the time, but we will for next time! If you have young children, the early start to breakfast will come as sweet, sweet reprieve and it did for us. Once again, we were alone, but this time it was because we were up at such an ungodly hour. A buffet breakfast – hot and cold – fuelled us for the morning ahead, which would include a visit to Eagle Encounters and arguably the highlight of the trip. 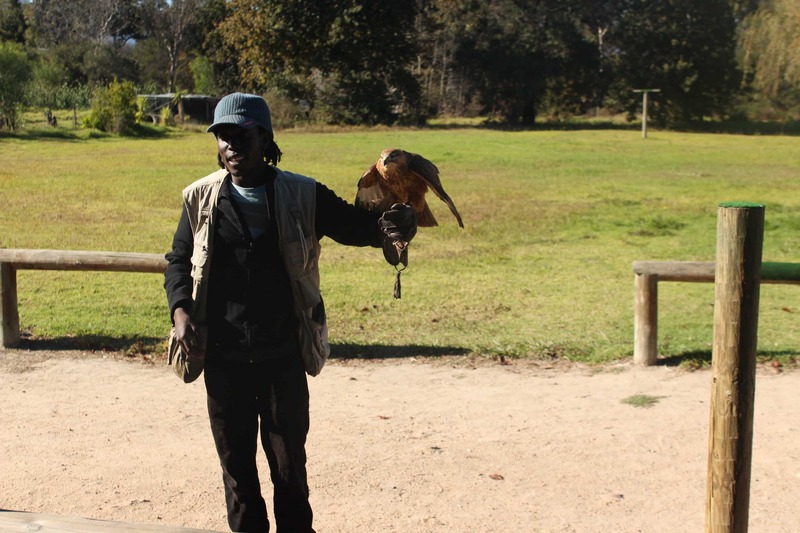 The Cheetahs are long gone from Spier – moved to a larger facility in Somerset West – but the Eagle Outreach is a welcome addition to the farm. Used as a rehabilitation and educational centre for predatory birds, it is home to eagles, owls, buzzards, vultures, hawks, a porcupine and a couple of chameleons and snakes. The stars of the show – for me at least – are the owls, which you are able to gently pet, and Goliath, the aptly named Marshall Eagle that stands vigil over the facility. Because of our early start, we were again the first people in the centre. We literally entered as the doors opened. But despite the falconry displays only set to start at 11am, Donald – one of the handlers at Eagle Encounters – took us under his wing for the morning and in essence gave us a fantastic tour, starting with the dancing owls (seriously, play them a tune and they bust a move) and a bit of fly-hunting with the chameleons. Then, finally, to cap it off, Donald handed us front-row seats to a private falconry display, at the venue? He expertly handled not only the falcons, but my youngest having a tantrum half-way through. The facility is great, but Donald made it exceptional, proving again, that a venue is only as good as its staff. Good thing then that the staff at Spier are so warm, welcoming and great at what they do. So if you’re looking for break with the youngsters and don’t want to lose out on quality and experience, Spier Wine Farm should be one of your first stops. Get a City Pass and get a FREE wine tasting & bottle of Chennen Blanc at Spier Wine Farm!